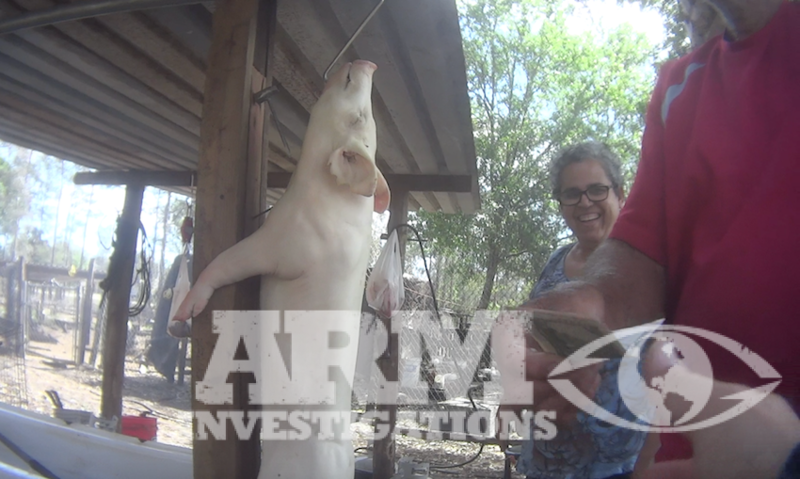 In 2015, Animal Recovery Mission began surveillance upon an area on the west coast of South Florida, where illegal animal slaughter operations were suspected. 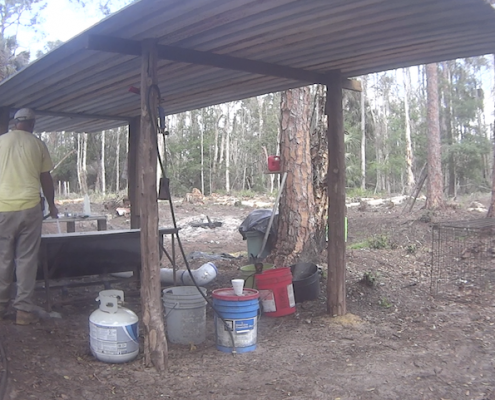 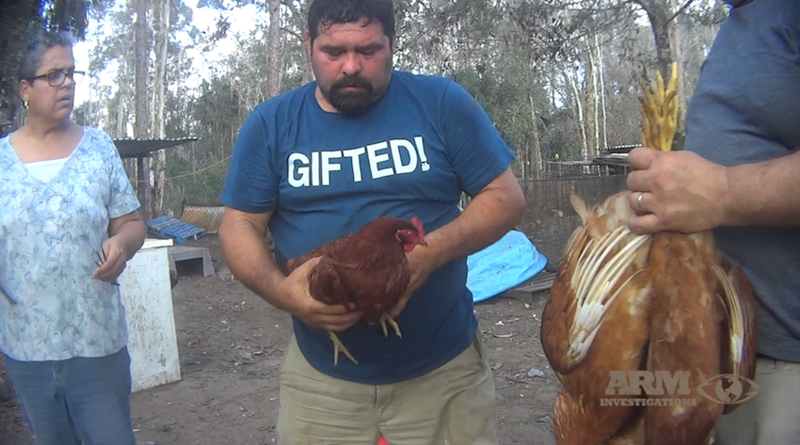 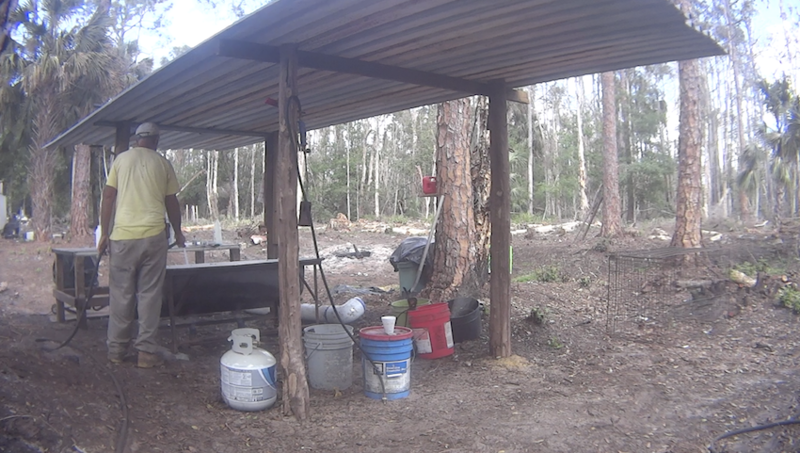 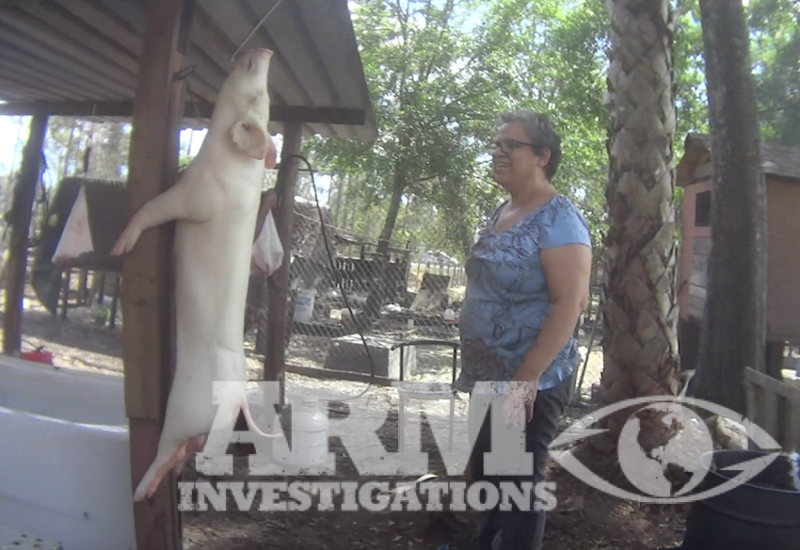 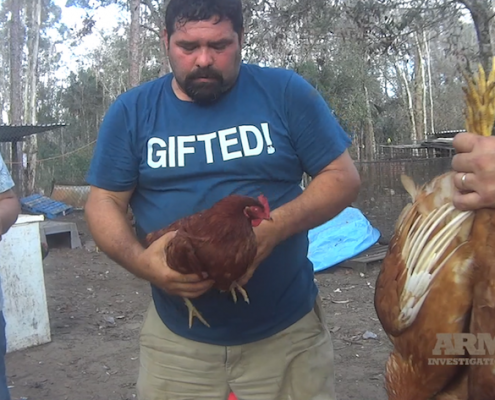 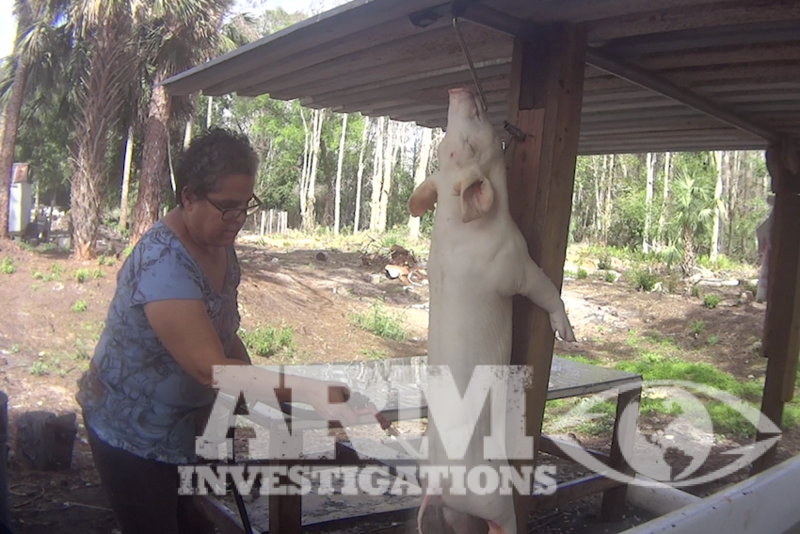 After quickly confirming illegal activity involving violent acts on animals, ARM initiated undercover investigations on four properties within Lee County, all within close vicinity to one another. 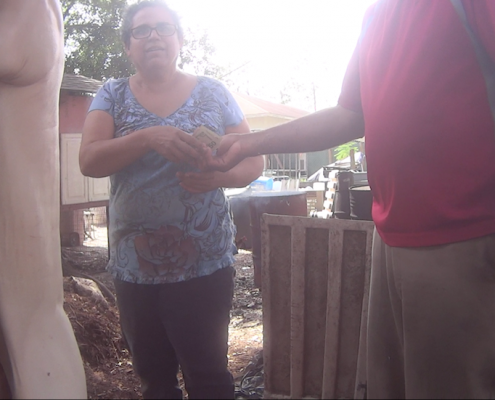 The properties went by the name(s) Rancho Anthony and Roman, Rancho Delicias, Rancho Santa Barbara and Rancho Cabrera. 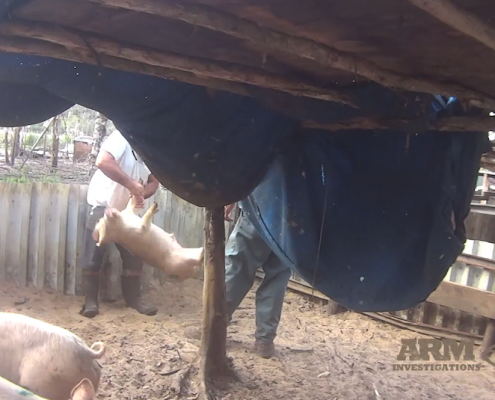 These properties involve an extensive list of barbaric acts of animal cruelty and a multitude of felony crimes. 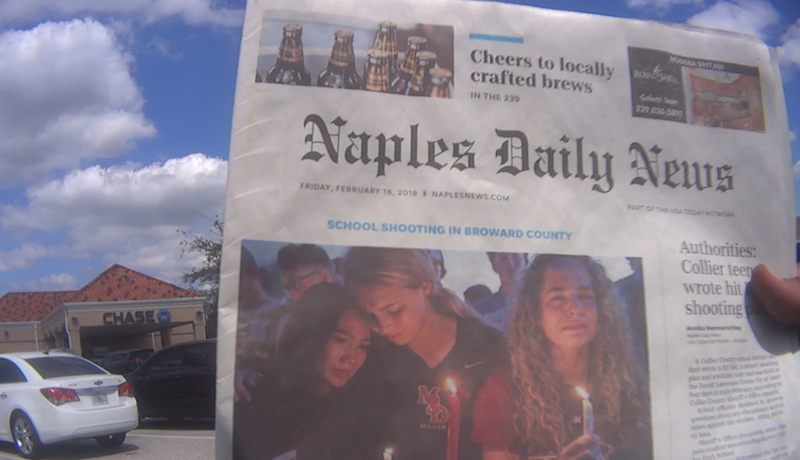 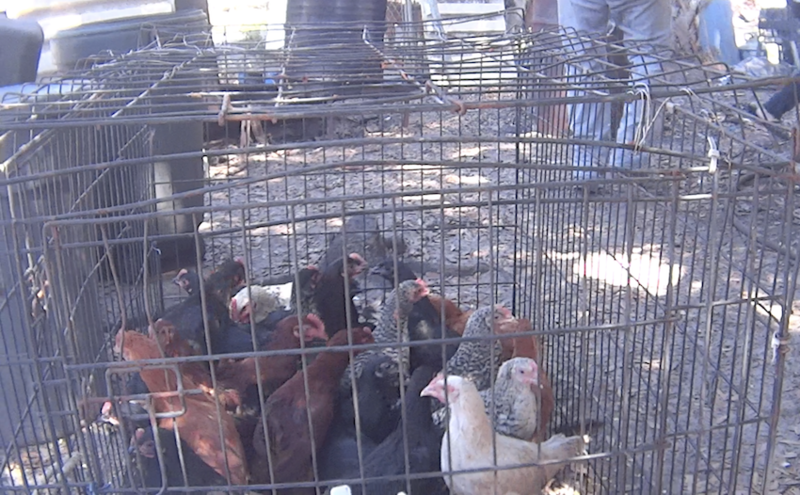 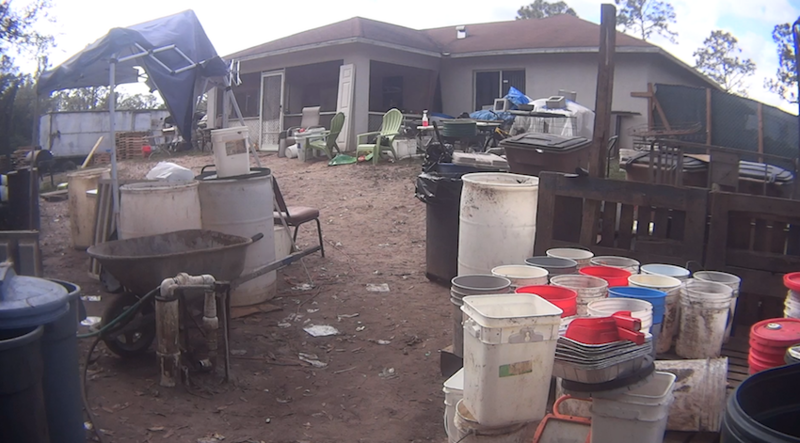 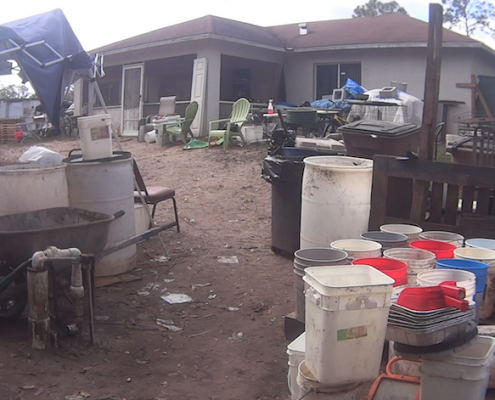 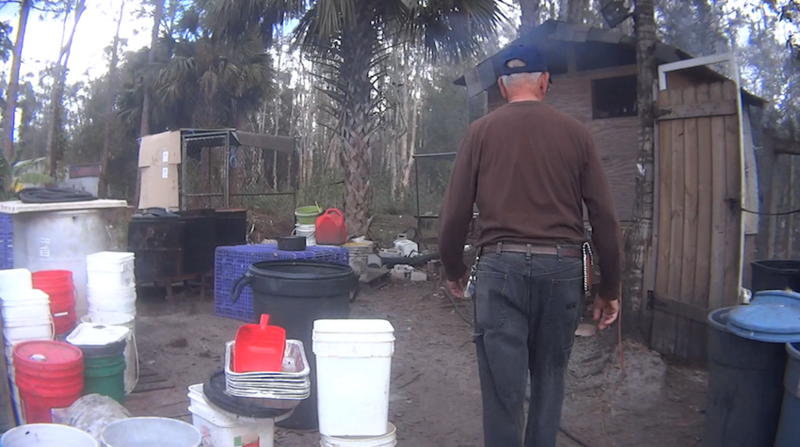 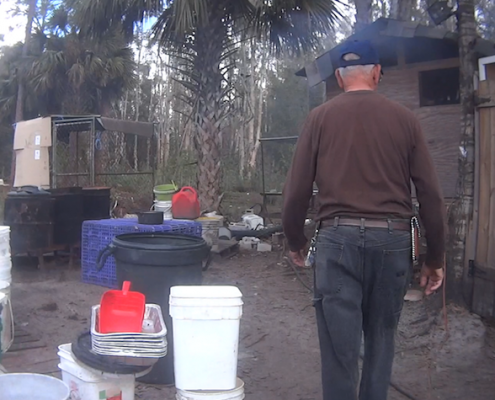 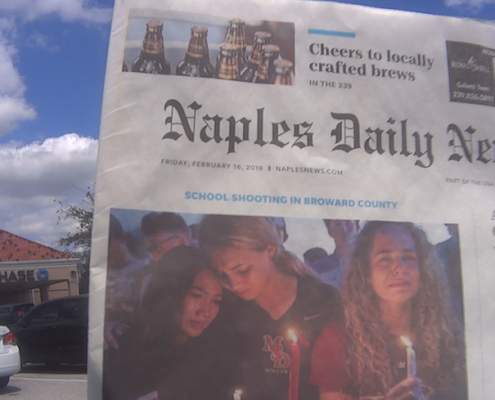 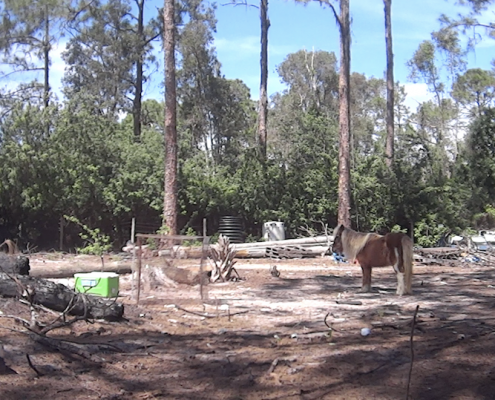 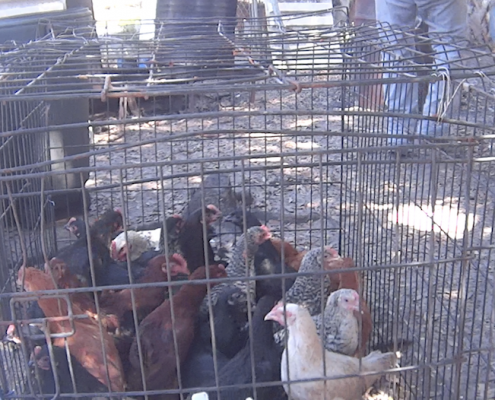 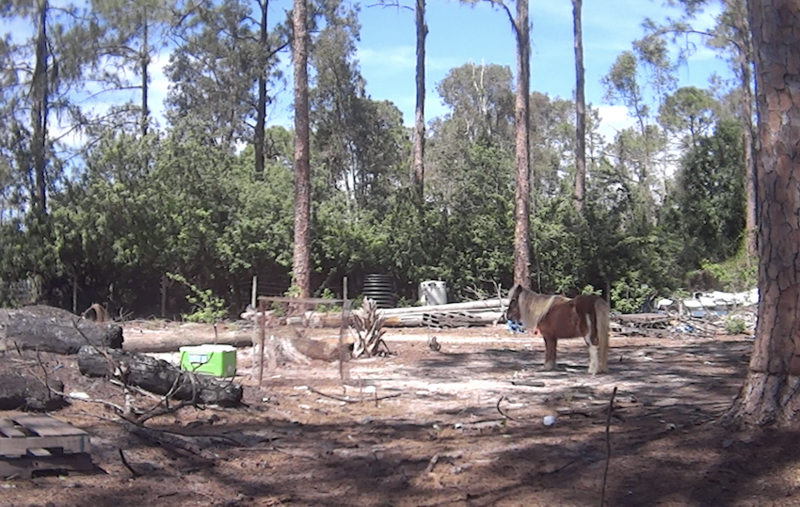 The Investigation of Rancho Cabrera began in 2017, while ARM was actively undercover on nearby slaughter farms located at 7301 Eastwood Acres Rd Fort Myers, Florida, Rancho Cabrera has been operating out of an unsanitary residence, garbage was strewn across the property providing rodents harborage and infestation on the property, including the animal holding areas. 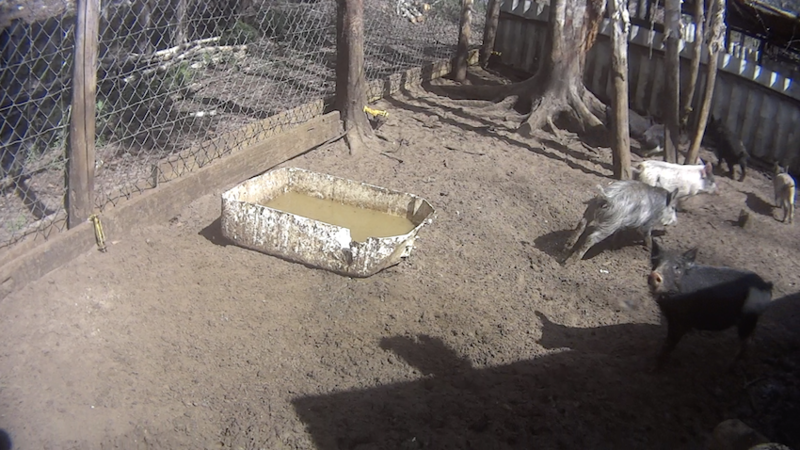 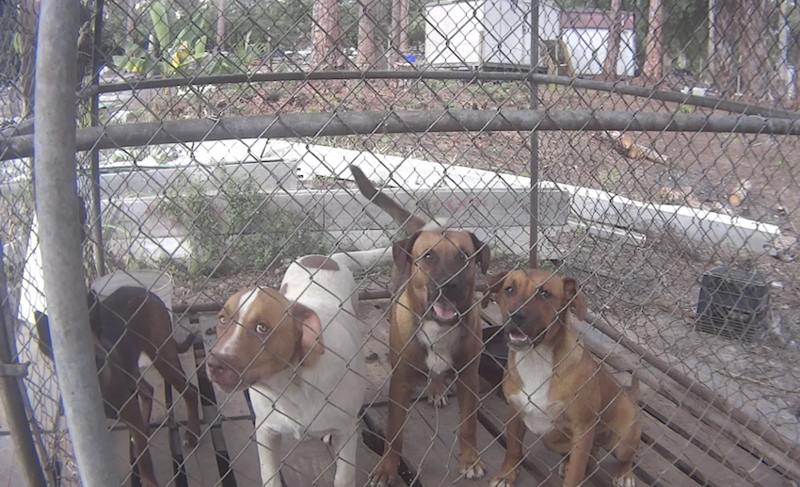 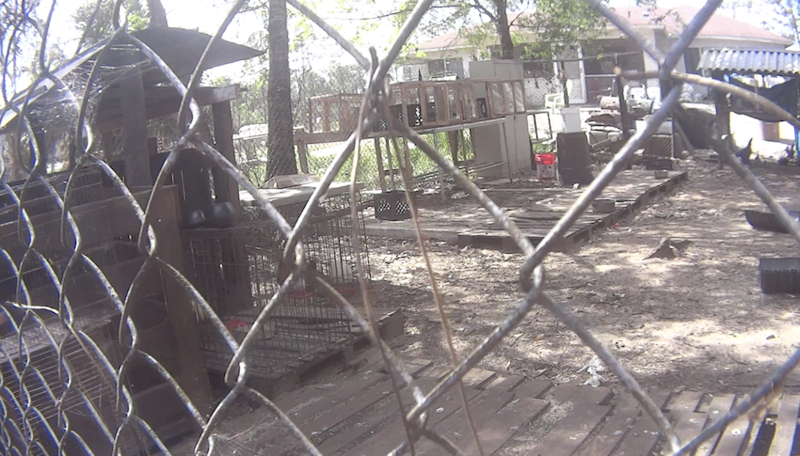 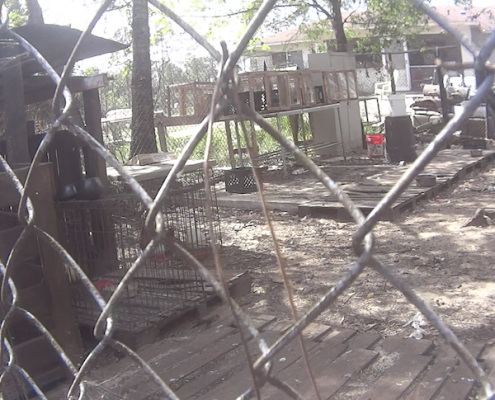 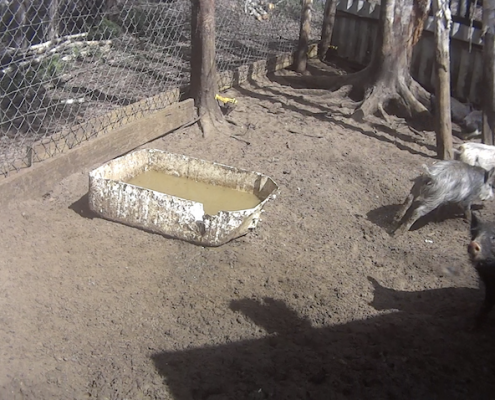 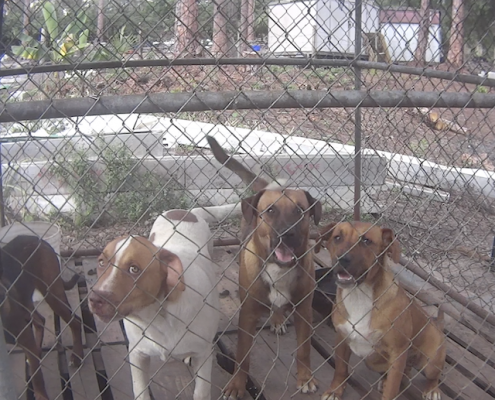 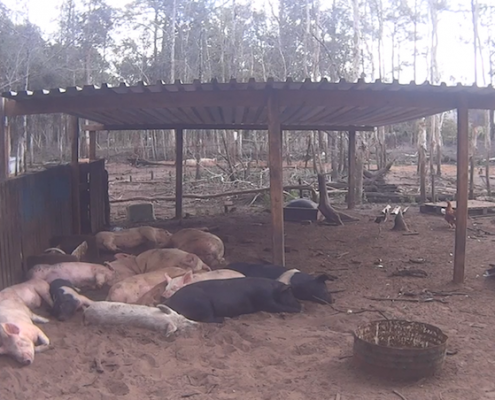 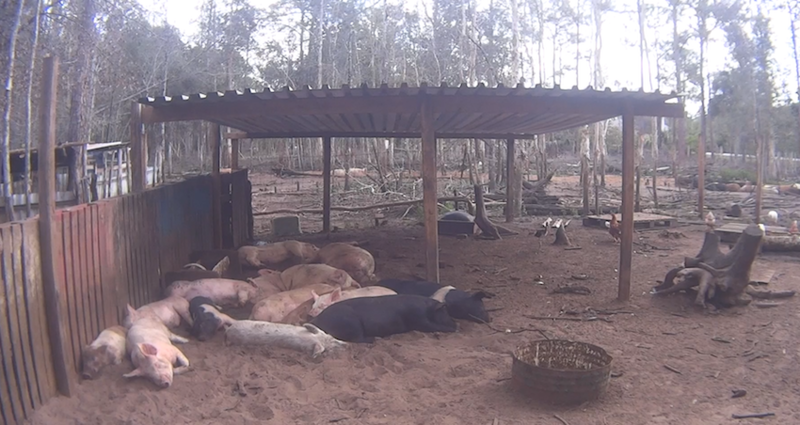 Our investigation into Rancho Cabrera also unveiled dogs and puppies locked in wire cages and are sold for the purpose of ritualistic ceremonies. 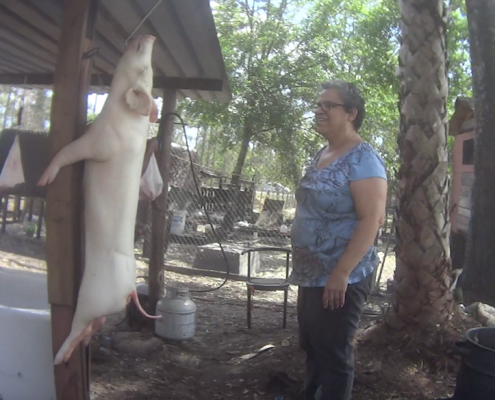 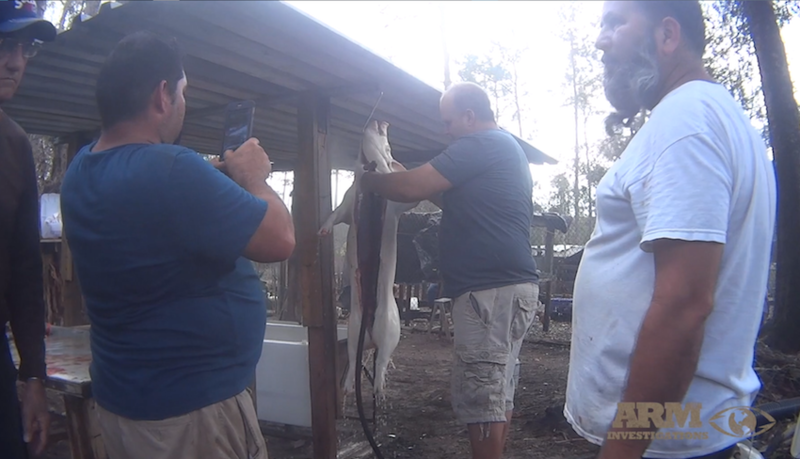 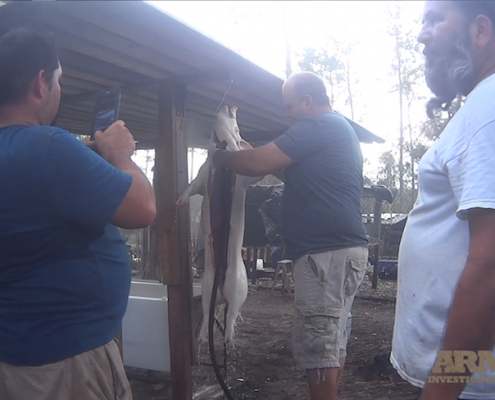 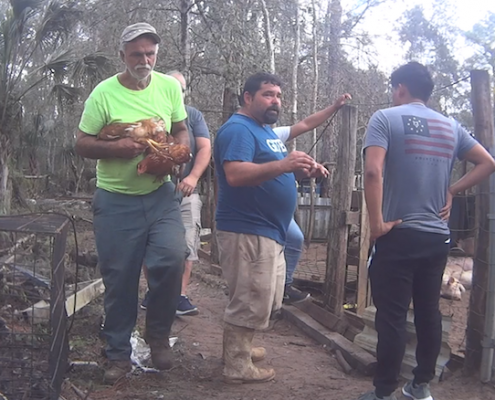 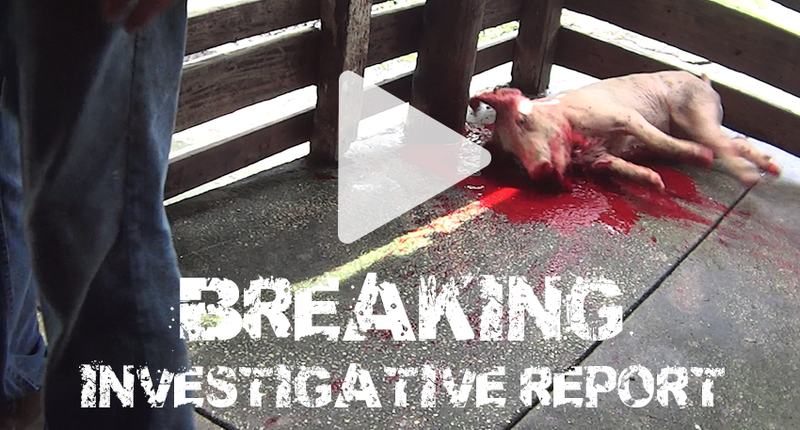 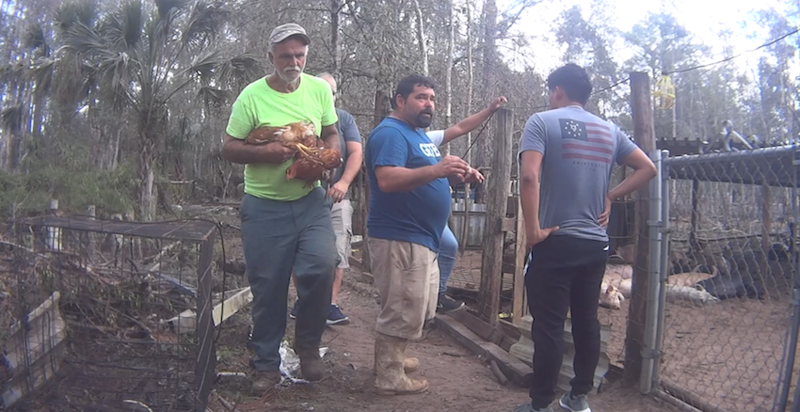 The illegal business owner Francisco Cabrera Ramirez (Frank) does not possess a license or permits to butcher animals for public consumption, and or for profit. 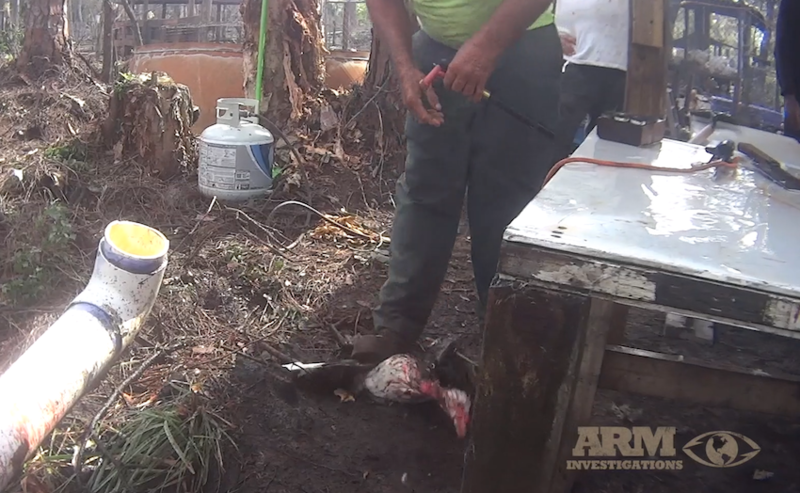 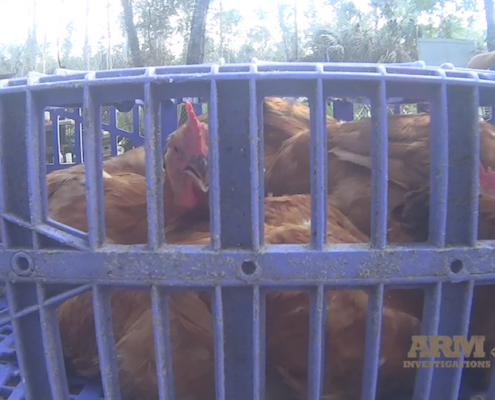 During its independent investigation, ARM’s operatives documented disturbing abuse, and torture of farm animals such as pigs, guinea fowl, ducks, and chickens. 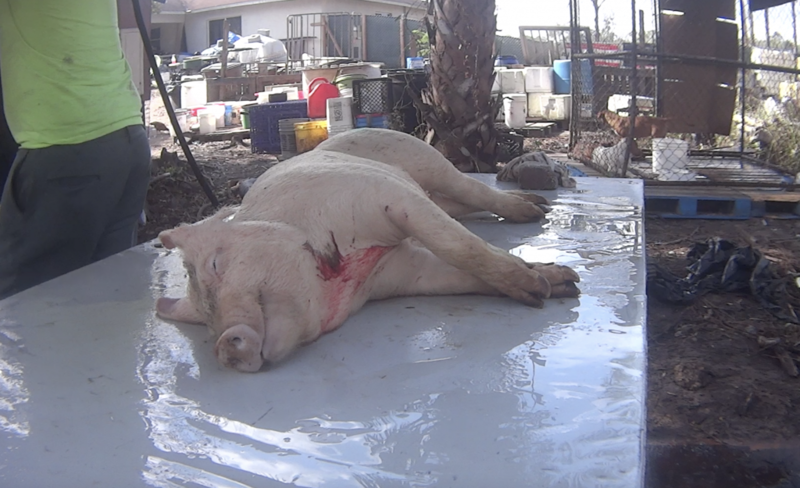 Each animal brutally killed onsite are conducted with a gross lack of compliance regarding the Humane Slaughter Act, whose guidelines are to ensure that an animal must be rendered insensitive to pain, prior to slaughter. 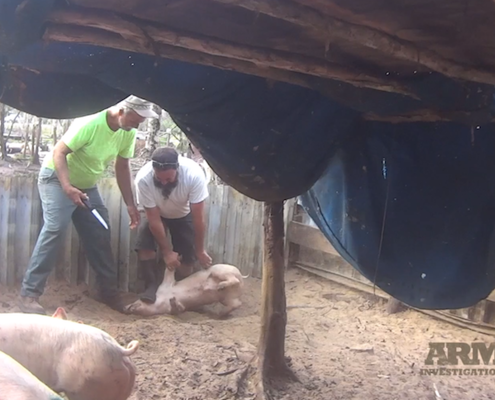 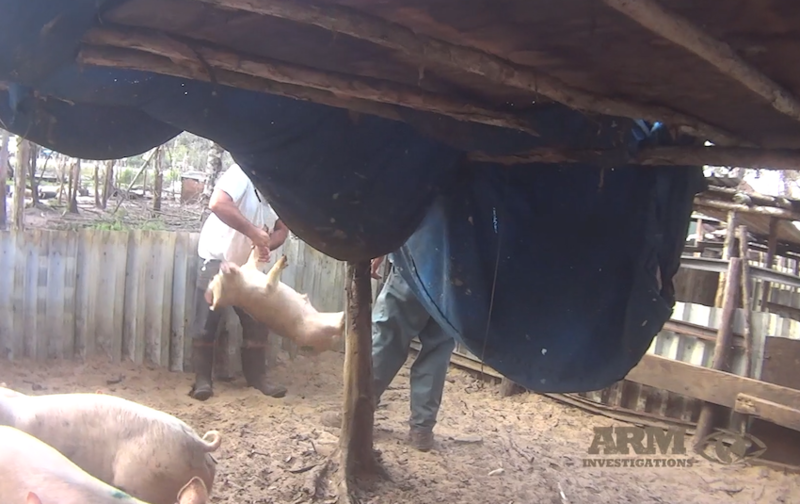 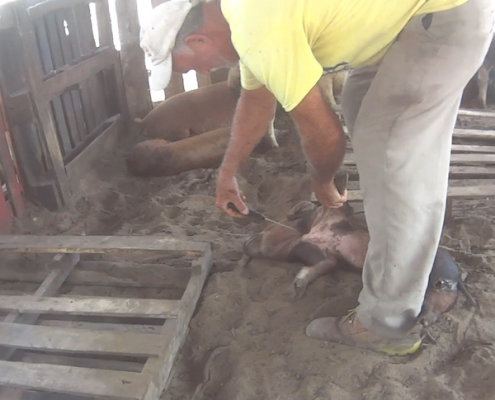 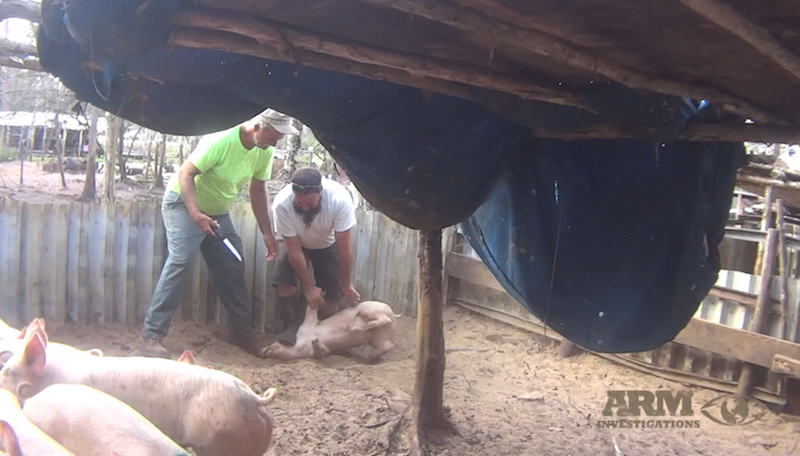 Pigs are pinned to the ground with excessive force, while the butcher plunges a long, dull blade into the animals chest. 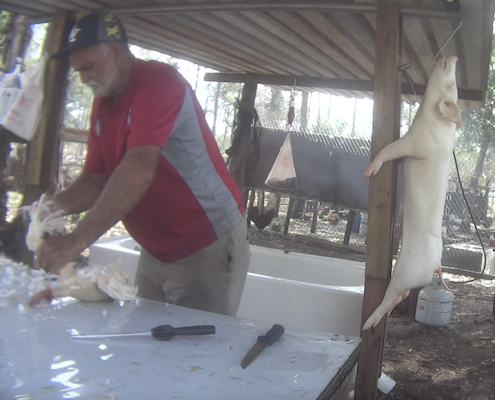 The slaughtering process is rushed due to the demand of customers and workers do not wait for the animals to die prior to butchering them. 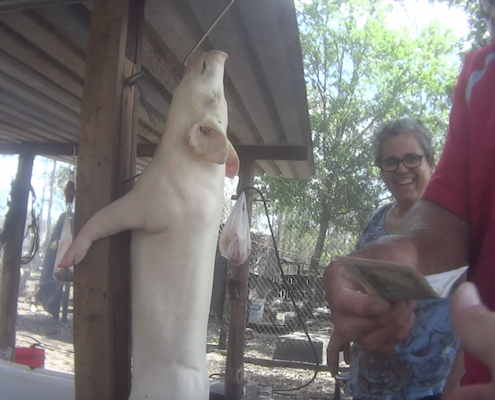 Instead, they begin to hose the blood off of them with cold water, acting as a stimulus which prolongs their pain and suffering. 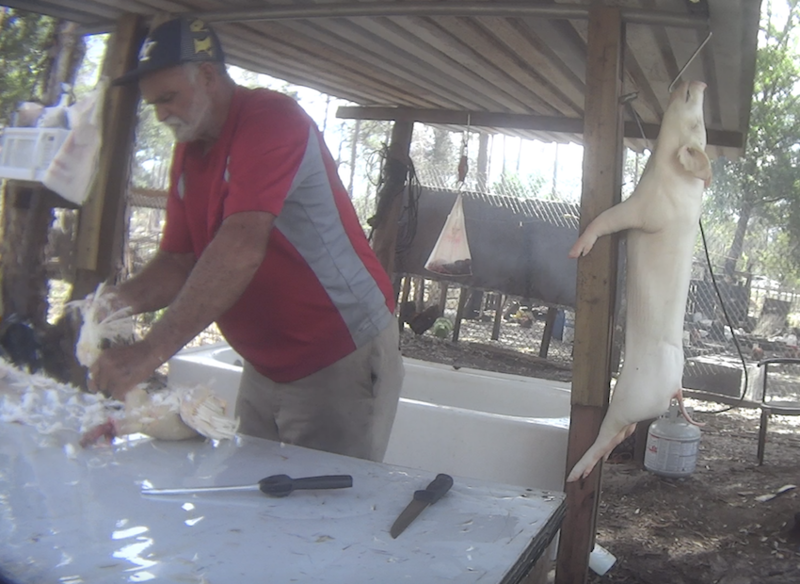 This is a violation of the Humane Slaughter ACT. 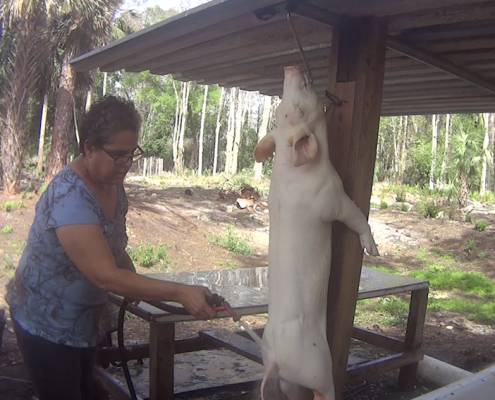 Pigs are thrown into vats of boiling water, while still alive, and held underwater by a shovel until they drown. 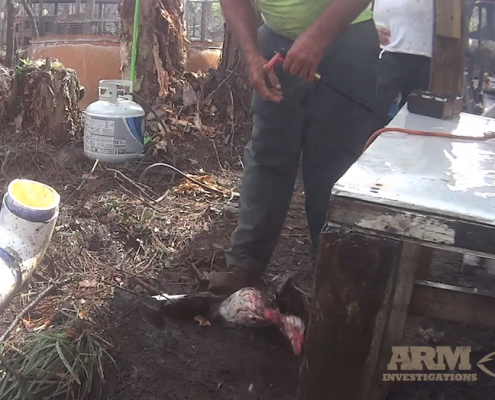 Birds necks are hacked at carelessly, with blunt instruments and incompletely ‘snapped’ by the hands of untrained employees. 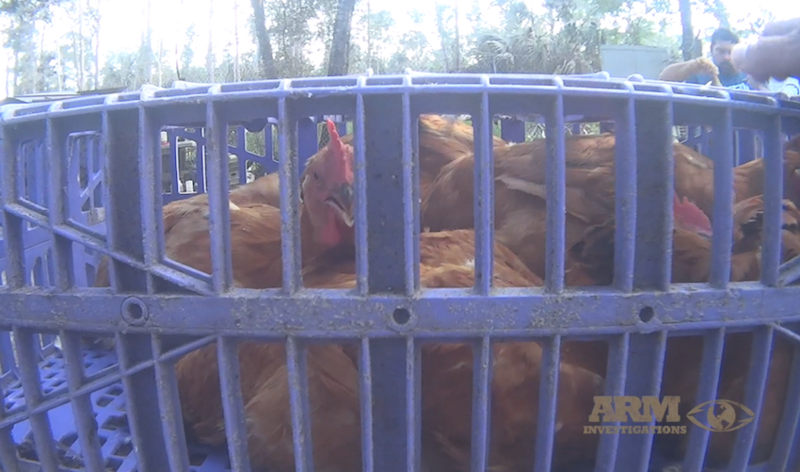 These birds are often de-feathered, while still alive. 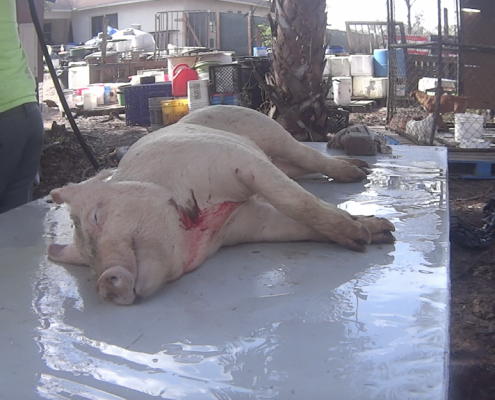 Animals showed signs of disease, malnutrition, and dehydration and lacking food and water. 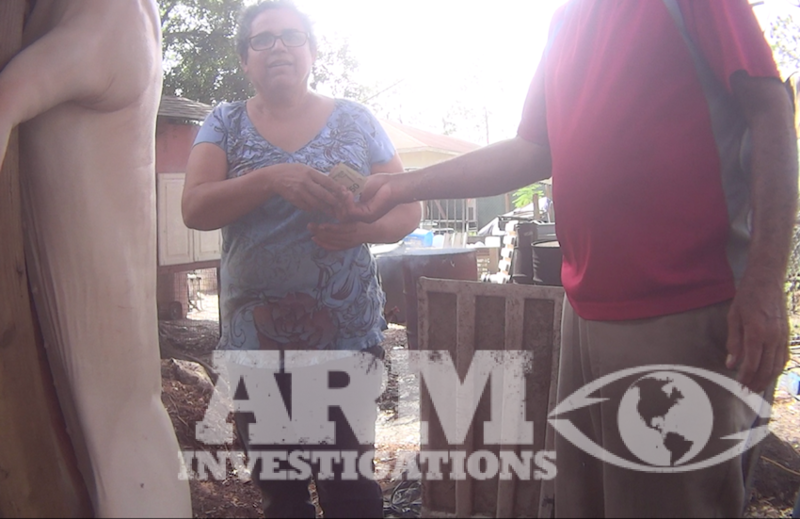 To view ARM’s complete report containing the findings from the Rancho Cabrera investigation, Click Here.